Home Science & Tech Science Should We Floss Our Teeth? Should We Floss Our Teeth? Recently, scientists claimed that flossing our teeth daily is not scientifically proven to improve oral health or prevent gum disease and cavities. However, most of us have heard since we were small children that we must floss our teeth in order to keep them healthy from our dentists, parents, and other family members. Thus, these conflicting beliefs leave us wondering if it is necessary or even healthy to floss our teeth daily. Professor Damien Walmsley, of Birmingham University, told The Guardian that “the time and expense required for reliable studies meant the health claims often attributed to floss were unproven.” In addition, “the latest US guidelines have dropped the recommendation…admitting that there is no scientific evidence to prove the benefits.” Thus, demonstrating that flossing is not scientifically proven to be beneficial. So, even though many years of flossing and believing that it is beneficial for our oral hygiene has caused many people to make it a habit, it is not actually proven that flossing is beneficial. Dr. Nigel Carter, who is a practicing dentist and the chief executive of the Oral Health Foundation charity, told The Daily Mail that he believes these brushes are effective at cleaning teeth because “[t]eeth are not straight and uniform, so the bristles on the brush can be more effective than floss alone, which can’t penetrate smaller pits and concave surfaces.” Thus, cleaning between the teeth is still an important part of oral hygiene and health, but using dental floss is not required, and no longer recommended, in order to do so. In fact, some dentists claim that flossing can actually be harmful. According to The Guardian, “[f]loss can occasionally cause harm, with poor technique leading to damaged gums and teeth and also dislodging bad bacteria, which can lead to infections.” Most people have not been shown a specific way to floss their teeth that all dentists would agree is the correct way to floss. Thus, many people likely have bad technique and may actually be harming their teeth and gums by using dental floss. Although flossing does not have scientific evidence to support its importance, thoroughly brushing teeth combined with the small tipped brushes to clean between the teeth is still essential in order to maintain good oral hygiene. According to The Daily Mail, “[o]ver the decades, your 32 adult teeth… endure hazards such as daily acid baths, night-time grinding and tooth-cracking foods and wrappers.” Thus, in order to eliminate these hazards from our teeth and keep our mouth healthy we must still care for our teeth regardless of the new evidence that is presented about flossing. Moreover, it is still believed that there are severe consequences for our health if we do not care for our teeth. An example of this is gum disease, which is caused by plague. According to The Daily Mail, “[g]um disease — which is where plaque, made up of bacteria, mucus and food particles, builds up in gaps between gums and teeth — can cause infection, inflammation and tissue damage. And it is now being linked to serious health problems including diabetes, heart disease and stroke.” It is not commonly known that neglecting to care for our teeth can cause problems as severe as these, but unfortunately this is the frightening truth. 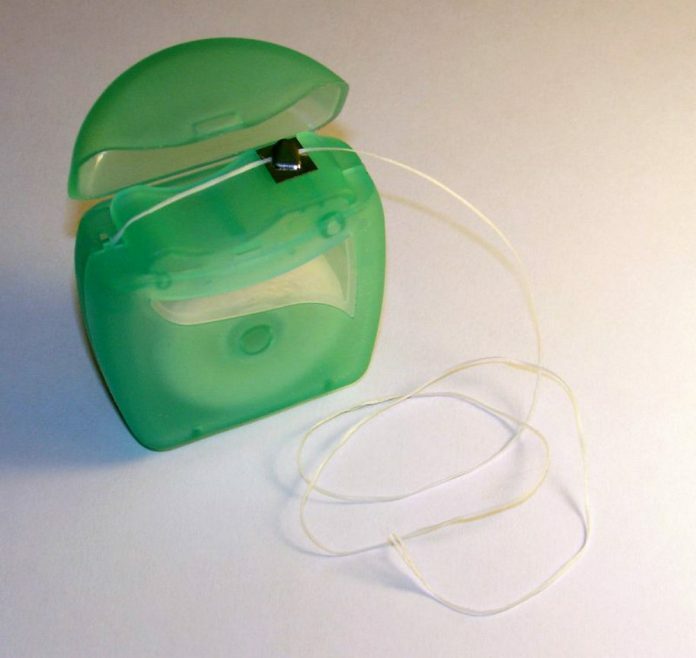 Flossing is not scientifically proven to improve oral health or reduce the risks of cavities. However, thoroughly brushing twice a day and using small tipped brushes to clean between the teeth seems to improve oral health. Although this new study goes against what has been believed for years, science is always improving and changing what we know, so hopefully these new findings will help to improve everyone’s oral hygiene and overall health.